When you have the best actors who are able to play the craziest characters and make your darkest notions into a believable story, why replace them? 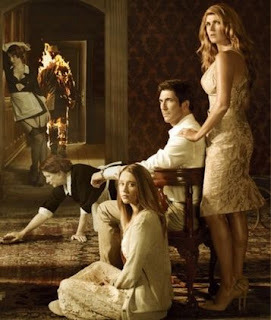 That is how Ryan Murphy thinks and wow, I know I agree. 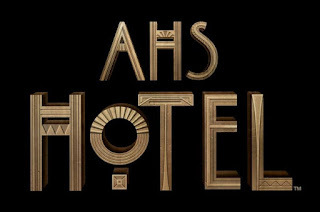 While Jessica Lange will not be in the 5th season of American Horror Story Hotel, much of the other actors will be. Chick the read more and see the whole list of cast that will continue to be updated and let me know what you think of who is playing who. ‘Ryan, I wanna be on Horror Story.’ And he goes, ‘Okay.’ And that was it.” a glamorous socialite who attends art openings and fashion shows, enjoys foursomes and maintains her looks from imbibing human blood. But she is not a vampire, Murphy wants her known as someone who has an ancient blood virus. Cheyenne Jackson is playing Will Drake, a father and fashion icon. Matt Bomer playing a character named Donovan. Wes Bentley plays detective John Lowe. Lilly Rabe plays a serial killer, Aileen Wuornos. Chloe Sevigny will be playing Alex Lowe, wife of John Lowe and a Doctor. Evan Peters is playing Mr. James March. Tweet from Murphy: "This season, Evan Peters will be waiting for you in Room 64." Angela Bassett will be playing Ramona Royal, previous relationship with the Countess. Finn Wittrock is playing Tristan Duff, the Countess' new love interest. Denis O'Hare will be playing Liz Taylor, or at least he is a entertainer who plays in the lounge and he thinks that he is her. Mare Winningham will be there, playing something... still not sure what.